What is the Customer Feedback Feature? 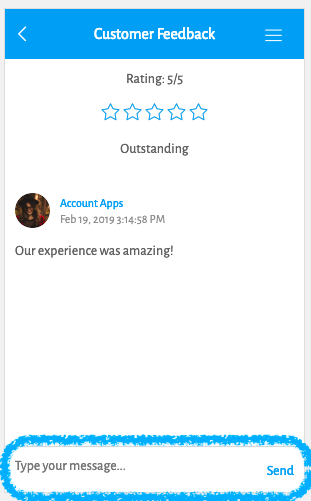 The Customer Feedback feature is a great way to receive feedback from your app users and for you to address any comments or concerns that they bring up. In this article we’ll go over how the Customer Feedback feature works. What are some use cases of Customer Feedback Feature? You can use this feature in your Restaurant’s app to get feedback on new dishes that you introduce. 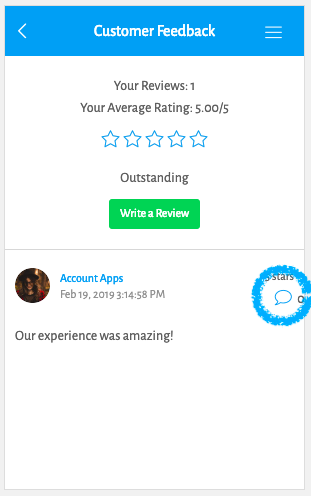 Do you offer your goods & services in your app, you can use the Customer Feedback feature to drum up business with all of the positive feedback from your clients! What is the Customer Feedback Feature’s primary function and what are the steps to accomplish it? The Customer Feedback Feature provides some amazing functionality as described in the introduction, but read on to see what is it’s core feature and what are the steps to implement it. Setting it up is as simple as making a new instance of the Customer Feedback feature and adding it to your app, as the majority of it’s function are in-app. If you don’t know how to do this, we recommend that you read our article about how to do so here. When users first open up the Customer Feedback feature they’ll see the option to give a rating between 1 and 5 stars. The rating is automatically set to 5 stars, but it can be adjusted by the user. 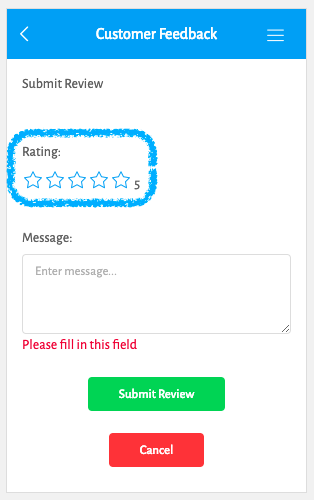 Once they select their rating’s score, they are then asked to leave a message along with their review which is required in order to submit a review. These messages can help you to better understand why they selected their rating score. 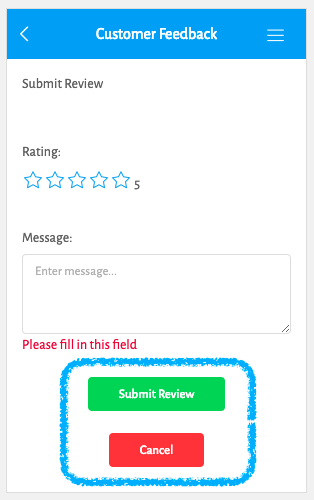 Once the user has selected a review score and added a comment, they’re asked to either Submit the Review or Cancel their review submission. Once the user submits the review it appears in a list among other user’s reviews where other users as well as you the app’s owner, can comment on their review. 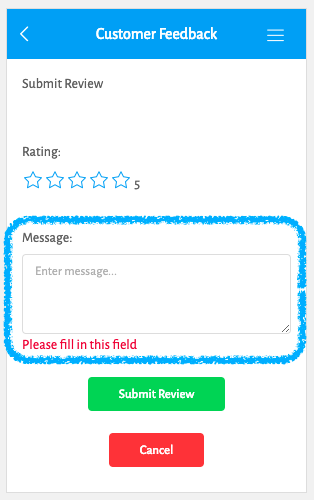 Then enter in the message you want to send to that reviewer and click “Send”. This is a great way to thank a user for a good review, or help resolve a disgruntled user’s problem. Congratulations! You now know how to use the Customer Feedback Feature in your app! What is a Pro Tip you should know about to take your app to the next level? Pro Tip: Use The Ability To Comment On Someone’s Review To Your Advantage! The ability to comment on a user’s review is a great way to thank them for giving you a good review which can help them feel more connected to you and your app, or resolve an issue or complaint brought up in a bad review which can help you save a customer.